Using your wishes and our skills to create moments of joy and timeless memories. 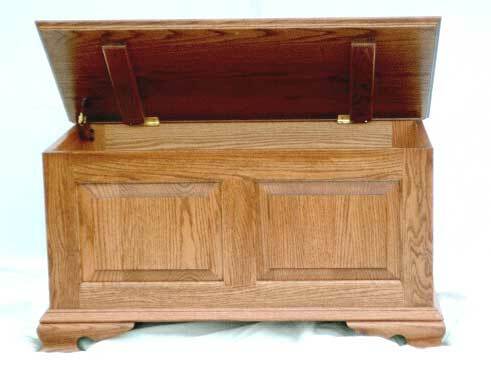 Build a hope chest kit with your own hands and a little help from Michigan craftsmen. 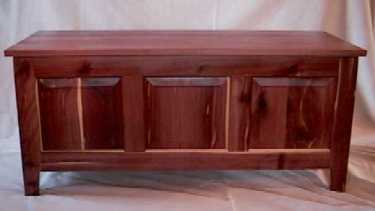 These cedar hope chest kits save you time and money, while allowing you to do the finishing touches. When completed, this woodworking project will be appreciated for generations. We have a lot of repeat customers that say :"You sure made me look good!" Solid wood with no veneers. Add a brass nameplate to make it a more treasured heirloom. In full production for Christmas and beyond 1-888-586-5544. The kit includes sanded assembled panels, parts, and hardware. Easy to follow instructions can be printed off the web or mailed to you, per your request. Ships to you ready for you to complete sanding, assembly, and finishing. 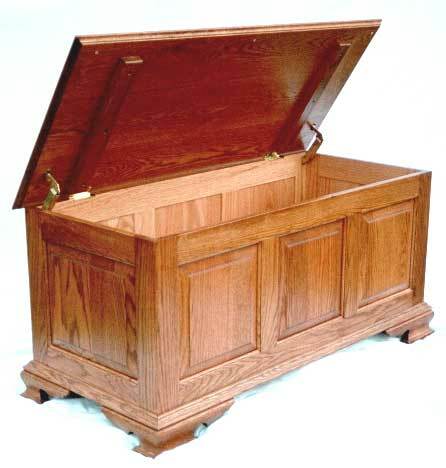 Chests are solid wood with no veneers. Choose from Oak, Cherry, or Aromatic Cedar. 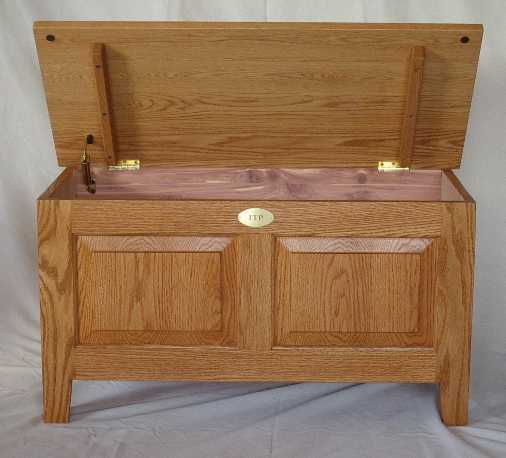 All chest kits come with your choice of a flat aromatic cedar back, or a raised panel back in the wood you have selected for your cedar chest. The lid support has also been turned upright to give more strength in the lid.